I'm trying to get it working under kvm. That three times is a charm is strange, you also should not get a login screen on Live environment it should log in automatically. How do you actually run kvm, can you post the string here? Both have the same issues. When I get to the login screen, I have to type in the password 3 times, before it goes to the desktop. Booting from the iso normaly is setup as autologin. You seem to have be something else. or even better the signatures. It works for me with KVM/Qemu without any issue fast and reliable. easy to find the show stopper your are facing. I'm using virt-manager as a frontend. I'm also a bit confused about why that happens. I just checked the sha256sum of the MX-18_x64 and the sha512sum of the MX-18_January_x64 iso's. Diff doesn't show an error. Your ISOs are probably fine something else happens here. So what do you see when you log in "demo" user (EDIT: ah, you just posted the screenshot, good)? What's the clock, does it show the correct time? The time is wrong, but it's set to the wrong timezone. It says 11:27am right now and my computer says 16:27. Date is right. According to google, the kvm command has been removed for 64 bit a long long time ago. It was loading for a few minutes, it's now on a black screen doing nothing. I think it started x, but I only get a black screen with nothing on it. 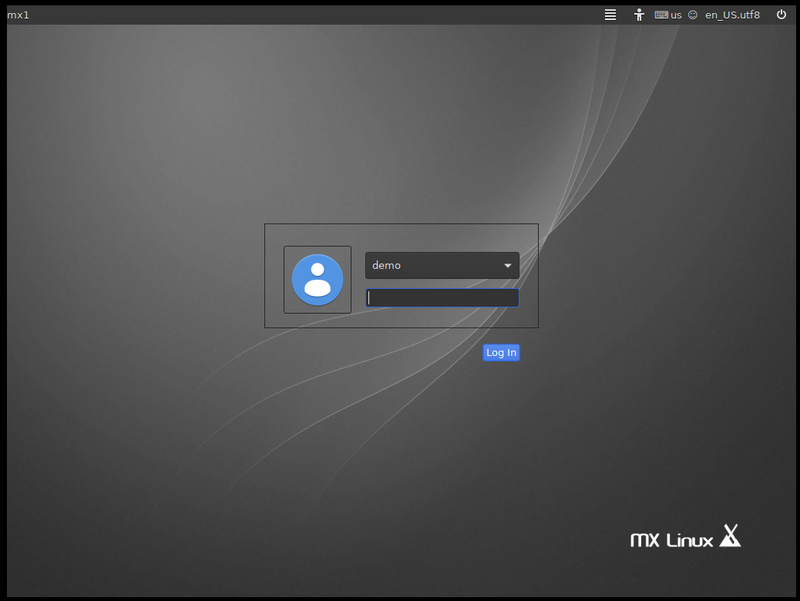 Booting from the iso should bringup you the ISOLINUX boot menu or a GRUB boot menu. So still not clear how you booting from the iso. Please explore a bit more. So still no clear how you booting from the iso. Please explore a bit more.